Join us this week as we welcome the country music band, 2Steel Girls. In exciting news for the summer of 2018, 2Steel Girls will be releasing their new 10 song full album. On 2/23/2018 they released two new singles from the forthcoming album, "In My Head" & "Queen Bee". The singles are available now at digital outlets. 2Steel Girls from NBC’s, The Voice, are the only mother-daughter duo to appear on the show to date. And yes, you read that right, they’re mother and daughter. Personally mentored by country music superstar, Blake Shelton, in front of over 14 MILLION viewers, Allison and Krystal appeared on three episodes of the show before breaking another major barrier: They became the first music artists to ever launch a debut, independent single with a live performance in front of millions of viewers on the Today Show, with Hoda Kotb and Kathy Lee Gifford, all because of a fan initiated campaign. 2Steel Girls have opened for some awesome music artists and headlined quite a few shows as well. One of their favorite shows was having the rare honor of opening for celebrity comedian, Larry the Cable Guy at Pensacola Bay Center. As Lydia Picknell (Keepin’ It Country) says, “Get to know the duo before they make it big - because they will. 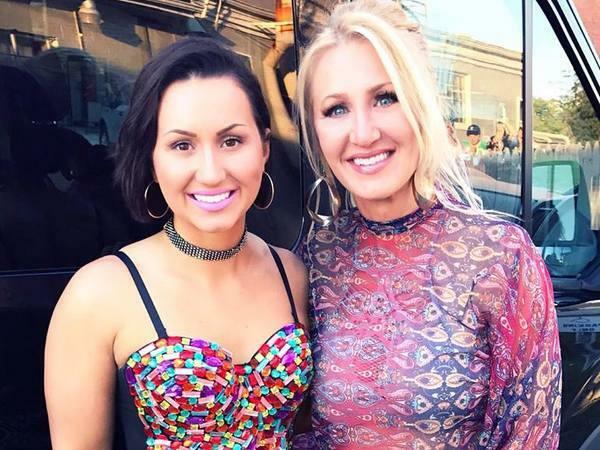 2Steel Girls are rising stars!” We will talk to Allison and Krystal (2Steel Girls) about their upcoming schedule, get a behind the scenes look at their music, feature their latest songs, and ask them to share their message for the troops. Please be sure to visit 2Steel Girls at http://www.2steelgirls.com and spread the word. And as always we will give shout outs to our deployed military listeners. Our message to the troops: WE do what we do, because YOU do what you do.